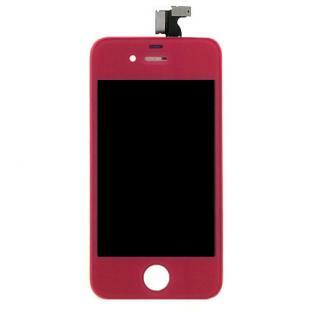 This iPhone 4S Digitizer Touch Panel Glass Screen With LCD Display Screen, Flex Cable, Supporting Frame (Magenta) includes everything needed to replace a damaged glass with LCD display with just one piece. All vital parts are included: front glass + digitizer + retina LCD display + supporting frame. Just unplug the damaged screen, plug in this new one and you're good to go. 100% Perfect fit;100% tested before shipping no spot no scratch no bubblesFast shipping. Find, Read Reviews & Buy cheap iPhone 4S Magenta Complete Front Screen Assembly products at wholesale price from leading chinese supplier, enjoy online iPhone 4S Magenta Complete Front Screen Assembly for sale and become wholesaler now!